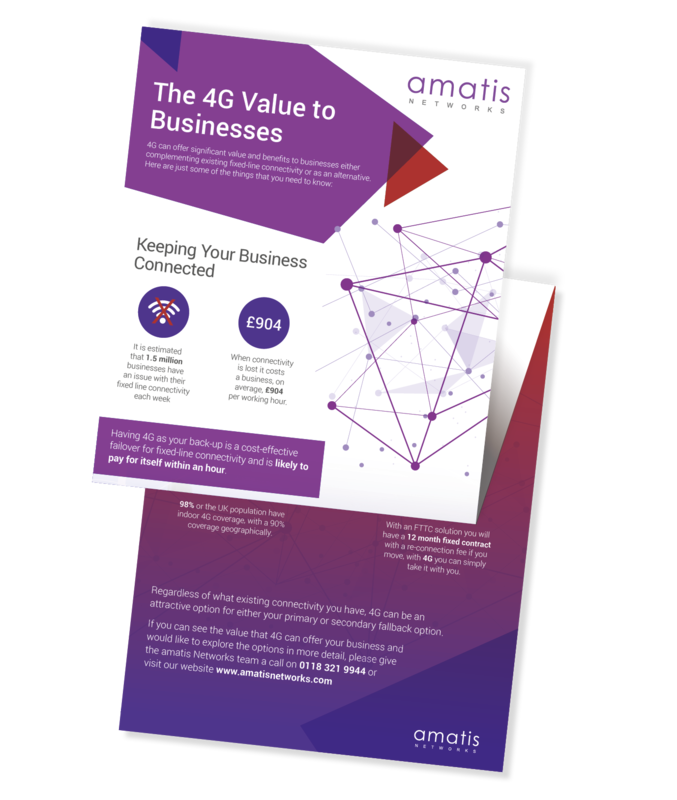 As an alternative to using a wired connection to a local exchange, organisations can utilise the cellular network for data connectivity and leverage 4G. In the past, this has only been available as a direct internet connection to the web however this is not the best solution from a features and security aspect. At amatis we do things a little differently. Our 4G into MPLS connectivity solution is based on direct layer 3 MPLS connectivity and can be deployed as a single SIM solution into a basic router that supports 4G or as a dual SIM and even dual mobile carrier solution through more advanced routers.